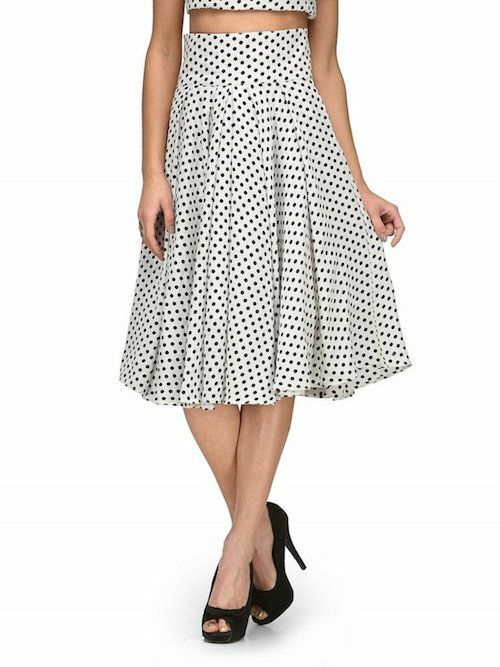 The Coolest & Comfiest Way To Style A Midi Skirt This Summer! Ladies, we’re always looking to make our look more interesting when we go for an outing - something that reveals our style and still looks casual but fun. 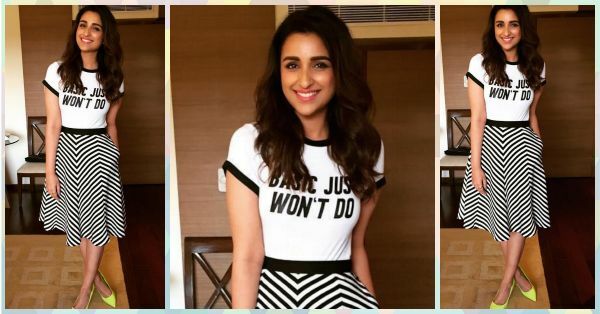 Parineeti shows us how we can ace the midi skirt trend by simply pairing it with a graphic tee and pop coloured pumps! Just leave your hair open and put on some bright lip gloss. This look is perfect for Sunday brunches and get-together with friends. Here’s how you can get her look in your budget! With all the celebrities going for a monochrome look and a pop of colour with bright shoes, this is a trend we can try confidently. Go for a spunky orange or a neon yellow pair. Trust us, you’ll be the center of attention - for the right reasons, of course! POPxo Recommends: Carlton London Neon Stilettos (Rs 1,812) Featured Image: Parineeti Chopra On Instagram HAVE A STORY IDEA FOR POPxo? If you want to hear about it, we can write about it! Just tell us your idea here! MUST-READ: How To Steal Jacqueline’s Adorable Back-To-School Look! 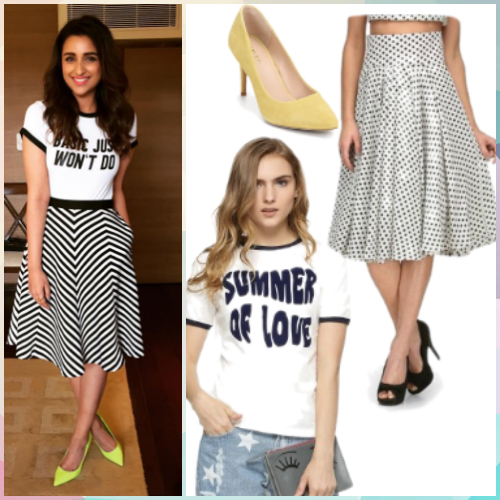 MUST-READ: How To Steal Shraddha’s Super Cute Outfit For That Lunch Date!